Is the notion of responsibility dying in America? In our culture, there seems to be a growing need to blame someone or something else for things that go wrong. Finger pointing and the blame game are commonplace, from our leadership down to the individual level someone somewhere is passing the buck. How many times have you heard the excuse, “Not me or not my problem?” Unfortunately, this “not-me’ism” is creating a huge problem for all of us, and it will take a change in mindset to resolve. “When you point your finger at someone, anyone, it is often a moment of judgment. We point our fingers when we want to scold someone, point out what they have done wrong. But each time we point, we simultaneously point three fingers back at ourselves.” – Christopher Pike. Think about those words carefully. These days, many people in our society believe they are not responsible for the choices they make, including the consequences of those choices made. Examples abound everywhere: on the personal level with decisions we make daily; on the corporate level with ethical lapses that end up spread across headlines; at the government level where finger pointing has replaced deliberative discussion and dialogue, creating gridlock. Along with this growing “not me” attitude is the “us vs. them.” “They” are always at fault—that convenient group that’s always available anytime, anywhere to take the blame so that the fault is never with “me” or “us.” As individuals and as a nation, we need to make responsibility and accountability a priority to turn around this epidemic of “not me’ism.” Enough is enough! True leaders stand up and say, “The buck stops here.” They realize the negative impacts of passing blame, and willingly accept and live the principle of personal responsibility. While others finger point and blame one another because no one wants to own a problem, strong leaders understand it’s everyone’s problem, and that it’s a call to action. It’s time to move from victimhood to empowerment. Join Barb Adams and John J. Higgins as they discuss the epidemic of “not me’ism” in America. 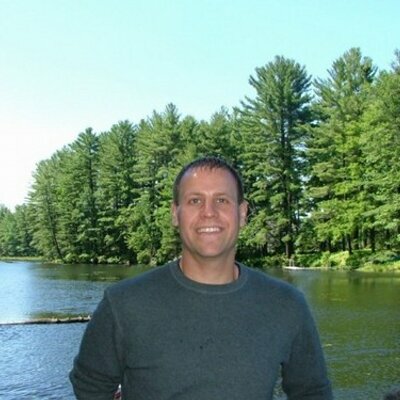 Joining Amerika Now during the second hour is a Lead Editor and the Senior Sports Editor for The Good Men Project, Michael Kasdan. Michael will be discussing The Good Men Project as well as related topics of education, gender issues, sports, and the changing role of men in today’s society. Michael is a father of two who lives in Maplewood, New Jersey. An intellectual property lawyer by day, in his spare time Mike is Chair of CityScience, a non-profit organization dedicated to improving science and technology (STEM) education. 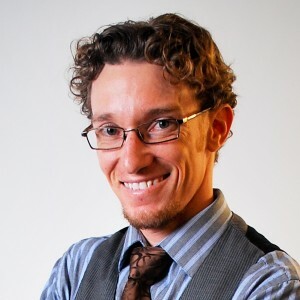 In addition, Mike is passionate about entrepreneurship and technology, and has served as an advisor on strategic and legal issues to start-up companies throughout his career. In the remainder of his ever-shrinking spare time, he enjoys focusing his energies on projects and causes that impact the world and our society. Mike frequently speaks and writes on a variety of topics, including intellectual property, technology, business, social media, sports, and social justice. He has spoken on a variety of issues in major media networks, including CNN (Headline News) and Al Jazeera America, and his writings have appeared in well-known publications such as The Huffington Post, Salon, Yahoo! Parenting, The Daily Dot, and Redbook. He enjoys playing basketball, biking, fumbling around on the guitar, and an on-again-off-again relationship with running. Mike spends entirely too much time on Facebook and can be found (over)sharing and linking on a variety of topics @michaelkasdan. For more information, visit http://goodmenproject.com/author/michael-kasdan/. CALL 800-259-5791 TO SPEAK WITH MICHAEL KASDAN. 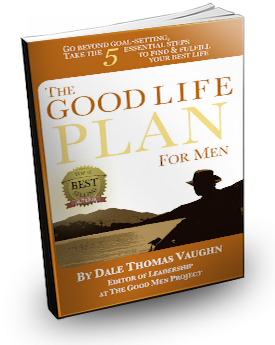 Best-selling author and Editor of Leadership & Business at The Good Men Project, Dale Vaughn, joins the show during the final hour to discuss The Good Life Plan for Men. What does it mean to be a man in today’s world, and what are the most common issues men face these days? Dale Vaughn will talk about these topics in addition to what he refers to as “the golden age of masculinity.” He’ll also discuss the six pillars of masculinity, and how each man can find and architect a sound structure with some combination of these pillars. Other topics may include goal setting, leadership and mentorship, sexual violence prevention, and why your goals are holding you back from happiness. Dale lives in Los Angeles with his partner Elizabeth Menzel, founder of WomensWisdomCommunity.com. CALL 800-259-5791 TO SPEAK WITH DALE VAUGHN.